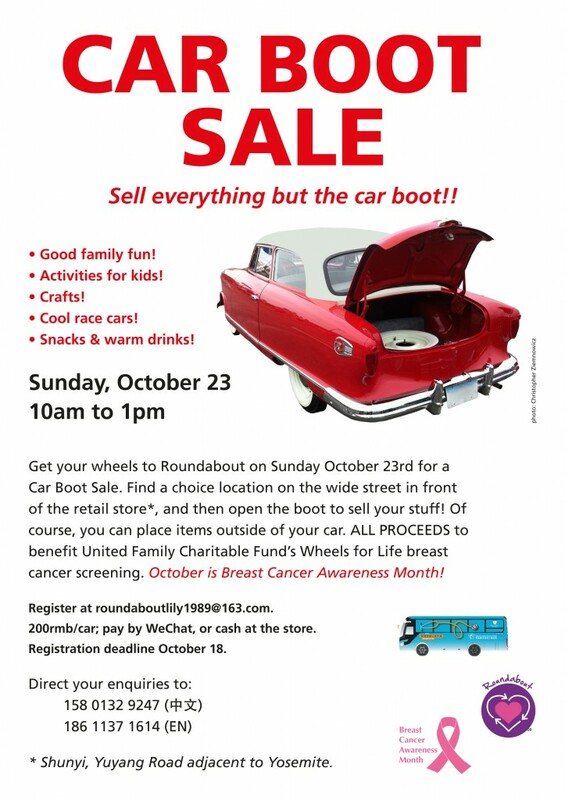 Get your wheels to Roundabout on Sunday 23rd, October for a Car boot sale. Register to sell! All proceeds to benefit United Family Charitable Fund’s Wheels for Life breast cancer screening.